We provide Landscaping Services to our clients. 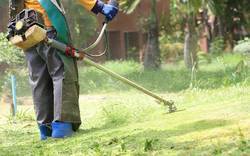 Supported ourselves with sound amenities, we are readily engrossed in presenting Landscaping Service. Highly valued and applauded owing to their effectiveness and pocket-friendly price, provided service is enormously demanded amid our esteemed clients.